This study is oriented towards quantification of the skill addition by regional climate models (RCMs) in the parent general circulation models (GCMs) while simulating wind speed and wind potential with particular reference to the Indian offshore region. To arrive at a suitable reference dataset, the performance of wind outputs from three different reanalysis datasets is evaluated. The comparison across the RCMs and their corresponding parent GCMs is done on the basis of annual/seasonal wind statistics, intermodel bias, wind climatology, and classes of wind potential. It was observed that while the RCMs could simulate spatial variability of winds, well for certain subregions, they generally failed to replicate the overall spatial pattern, especially in monsoon and winter. Various causes of biases in RCMs were determined by assessing corresponding maps of wind vectors, surface temperature, and sea-level pressure. The results highlight the necessity to carefully assess the RCM-yielded winds before using them for sensitive applications such as coastal vulnerability and hazard assessment. A supplementary outcome of this study is in form of wind potential atlas, based on spatial distribution of wind classes. This could be beneficial in suitably identifying viable subregions for developing offshore wind farms by intercomparing both the RCM and GCM outcomes. It is encouraging that most of the RCMs and GCMs indicate that around 70% of the Indian offshore locations in monsoon would experience mean wind potential greater than 200 W/m2. This study has been carried out under the aegis of ADB TA-8652 IND: Climate-Resilient Coastal Protection and Management Project (CRCPMP). 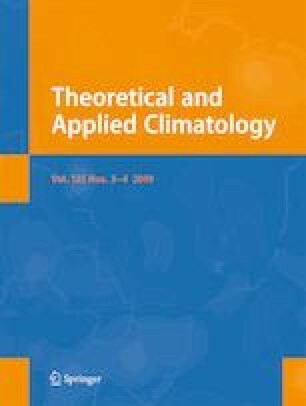 Authors acknowledge the World Climate Research Program’s Working Group on Coupled Modeling for producing and making available the model outputs. Authors acknowledge the modeling groups viz. the Centre for Climate Change Research (CCCR-IITM) for RegCM4 and partner institutions Rossby Centre, Swedish Meteorological and Hydrological Institute (SMHI), Sweden, for RCA4, for generating and disseminating the CORDEX South Asia multi-model dataset. The authors sincerely thank Prof. Manas Behera, IIT Bombay for his constructive suggestions and comments. Thanks are also due to Ms. Swati Singh and Ms. Piyali Choudhary who provided great help in downloading the CORDEX data.